We look at building a KPI dashboard and displaying them with the 4K Kogan TVs. In this episode, we interview Ray Strongman, who is a business coach and is an expert on DISC profiling. Ray has been doing DISC training for years and does the DISC training for our customers. We use DISC profiling to help with communication and performance within team and also use it to help with the way that we communicate with our customers. We discuss what it is and how you can use it too in your team. Even if you don’t have employees, this will help with your customers and suppliers. We talk about how we have implemented DISC profiling in our hiring processes. 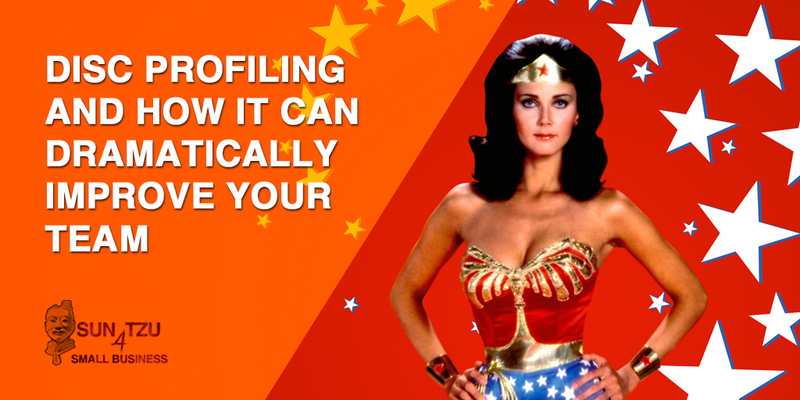 We also discuss the relationship between Wonder Woman and DISC profiling – who knew! We also look at one of Winston Churchilll’s most important quotes and how it relates to your business.